In the first week of using the compactor under full capacity conditions, we reduced refuse collections by 50%. This gave a savings of £2340 per annum. 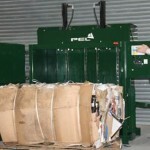 We purchased a PEL 700 Baler and by baling cardboard we now have free collections. This has saved £1450 per annum off our waste bills. We purchased a BB06 Bottle crusher and reduced our bins from 6 x 140 litre bins per day to 2 x 140 litre bins per day . This led to savings of approximately £2184 per annum plus we got back valuable space. The PEL Bin Press achieved significant savings for our business and allowed us to make better use of our space. The PEL Jaws increased our storage space and we have never had a day’s problem in 18 months. The PEL Baby Jaws is saving us space on bottle storage and we are getting a return on our investment within 9 months. The machine works behind the bar and no one even knows its there. Highly recommended. Christ Church College, Oxford ,UK. – Christ Church College Oxford implemented a PEL Bin Compactor earlier this year and have seen massive savings in their waste costs.